Chemical Volcano Experiment For Kids - Children's Science Experience. Wow! A Chemical Volcano Experiment for Kids! A volcanic eruption is a very captivating and interesting experiment for kids which helps to keep them occupied for hours. More importantly, making a chemical volcano is pretty amazing and as well an ideal science project that allows kids to learn about children’s science and formation of volcanoes. The processes involved are very simple and require simple materials which are mostly available in your home, probably inside your kitchen sink or covered work surface! 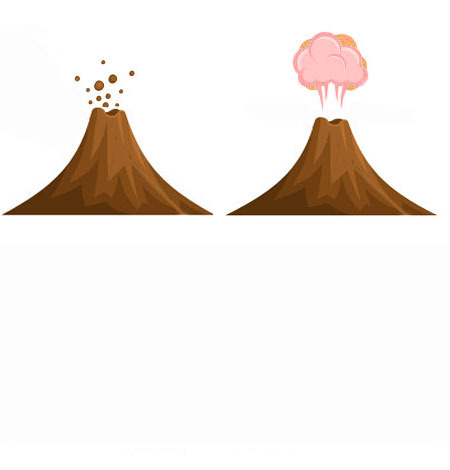 This experiment is a great way of organizing a children science party and to educate the kids on the basics of volcanic eruptions – an experiment that is so simple to produce for any kids party! 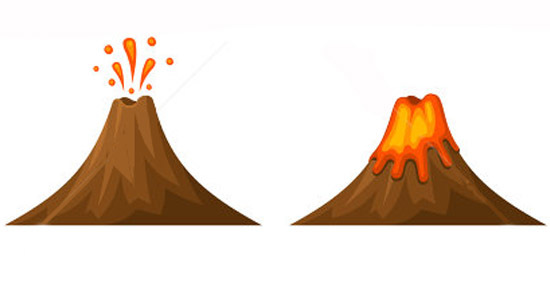 There are several erupting volcano recipes using baking soda and vinegar with just a single search on the web. Some with detailed explanations, others with absolutely nothing except mix and watch. Are you Ready to carry out the experiment! Although we aren’t going to follow the steps through which volcanic eruptions occur, but we will however be mimicking the fizz, pop science behind our volcanic activity. The chemical process involves an acid-base reaction which produces water and carbon (iv) oxide gas. The baking soda is referred to as sodium bicarbonate whereas vinegar is acetic acid. These chemicals are however safe to use. From our researches so far, we predict that an equal amount of vinegar and baking soda will have the greatest outcome and reaction. 10. A dish washing detergent. 1. First, you need to make a baking soda volcanic cone by mixing some required quantity of flour, salt, cooking oil and warm water depending on how you want it to be. 2. Add a few drops of the coloring gel to make the volcano colored. 3. Take the bottle and fill it with water. 4. Now, stand the bottle in the baking pan and mold the dough you made at the first stage around it into a volcano shape, (cone-like). 5. Don’t cover the opening or drop dough in it. 6. Fill the bottle with warm water. 7. Add the required drops of detergent and tablespoons of soda to the bottle contents. 8. Finally, pour some vinegar slowly into the bottle to produce an eruption. 9. Repeated eruptions are achieved by adding more baking soda and vinegar. Remember that you should always work under adult supervision whenever you conduct experiments. So please don’t do these projects alone. WHAT DID YOU OBSERVED ? Once you pour in the vinegar into the bottle, you will notice an increase in volume of the bottle content due to the instant collision of the molecules between the vinegar, soap solution, soda and water. At a point, the gas gets very excited and tries to spread out due to lack of space in the bottle as it mixes with the soap solution. Those crazy bubbles finally form the volcanic eruption! The cool red lava formed is as the result of a chemical reaction between the baking soda and vinegar. In this reaction, carbon dioxide gas is produced, which is also present in real volcanoes. As the carbon dioxide gas is produced, pressure builds up inside the plastic bottle, until the gas bubbles expand ( which is as the result of adding a detergent) out of the ‘volcano’. The adding of food coloring will greatly result in that crazy red-orange lava colour appearance! We hope you enjoyed this experiment, and there are plenty of more to choose from! Organizing a fun scenario or preferably kids science party is an exciting way of passing the knowledge! Right; How can you get the lava to flow quicker? Can the lava be made to flow slower too? Place your answers in the ‘comments’ form below and receive a free toy!